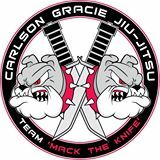 Copa BJJ teaches Carlson Gracie Jiu-Jitsu, which is derived from the disciplines of Judo and Japanese Jiu-Jitsu. The Carlson Gracie form of the art emphasizes use of technique, body positioning, and leverage to overcome a larger and stronger opponent. Escapes: You will learn to effectively protect yourself from an attacker and escape a dangerous situation. Immobilization and Control: You will learn to control an assailant and keep them from attacking you or your loved ones. Attacks: You will learn highly effective ways to incapacitate an attacker, regarless of size or strength. Copa Jiu-Jitsu is located inside the world famous Quads Gym at 3727 N. Broadway Street in Chicago’s Lakeview neighborhood.